The reality of being a refugee is inconceivable to most of us. All around the world, war, violence, poverty, famine and extreme weather disasters force ordinary people from their homes every day, often facing treacherous journeys before they reach a safe haven. Families are ripped apart and many end up living in squalid conditions with not enough food, clean water or proper sanitation. Some people spend decades as refugees with no prospect of formal work or a decent education. All refugees and internally displaced people have the right to receive assistance, the right to protection from abuse and the freedom to seek asylum, regardless of who they are or where they come from. And yet, their rights are hardly ever respected, and their most essential needs almost never met. In the Lake Chad Basin region of West Africa, a violent seven-year conflict originating in Nigeria is causing untold misery and suffering for millions of people, with alarming levels of human rights abuses including killings, torture, abductions, and forced recruitment. Across the region, people are on the move in search of safety and protection, trying to escape threats to their lives. Women and girls are especially vulnerable. They are subjected to grave violations including forced marriage, sexual violence and exploitation. Since the conflict began, over 2,000 have so far been abducted. 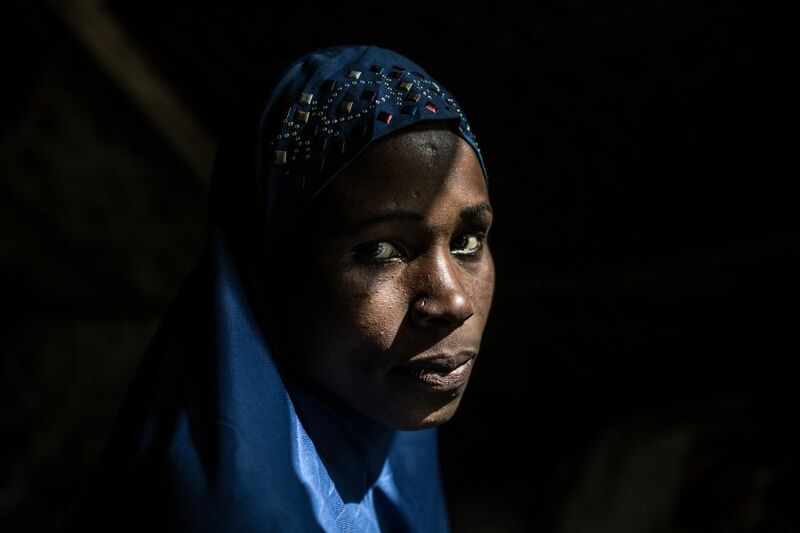 In North East Nigeria, nearly one in three women report having experienced sexual violence. Violence and displacement takes a toll on people’s livelihoods. The Lake Chad Basin conflict has caused widespread destruction of vital infrastructure, such as hospitals, schools, roads, markets and farmland. Insecurity is preventing people from farming, fishing and trading across borders. Many farmers have not cultivated their lands for three consecutive years. 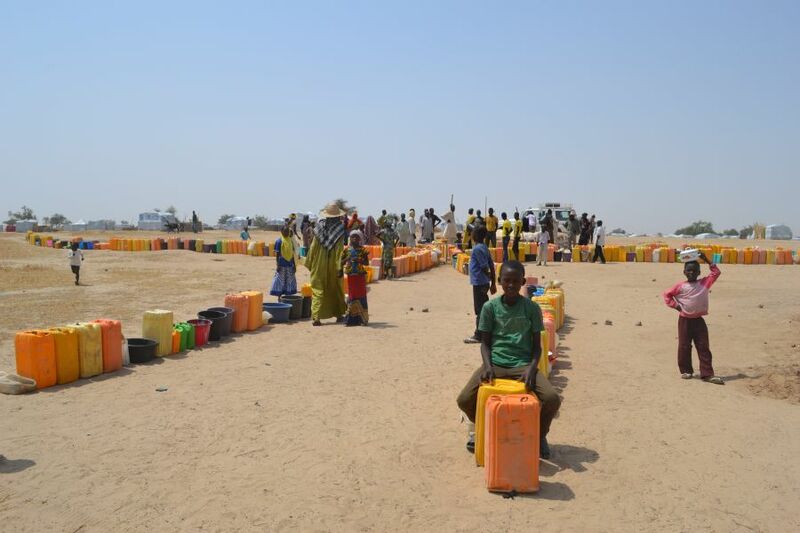 The conflict has caused a devastating food and water crisis. More than 10 million people are in need of immediate humanitarian assistance, surviving only on what they can find to eat. The lack of safe water is increasing the threat of cholera and spreading other water-borne diseases such as diarrhoea. As the Syrian civil war is in its 7th year, there are currently 1.02 million Syrian refugees in Lebanon according to UNHCR. The Lebanese government is very wary of any formal refugee camps, afraid that people will feel too comfortable and stay indefinitely. Instead of proper and safe shelter, many refugees are forced to live in ‘informal tented settlements’, constantly at risk of eviction by the landowners from whom they rent the land. Those makeshift settlements - without running water and electricity - are constructed from every scratch of material that could be collected. 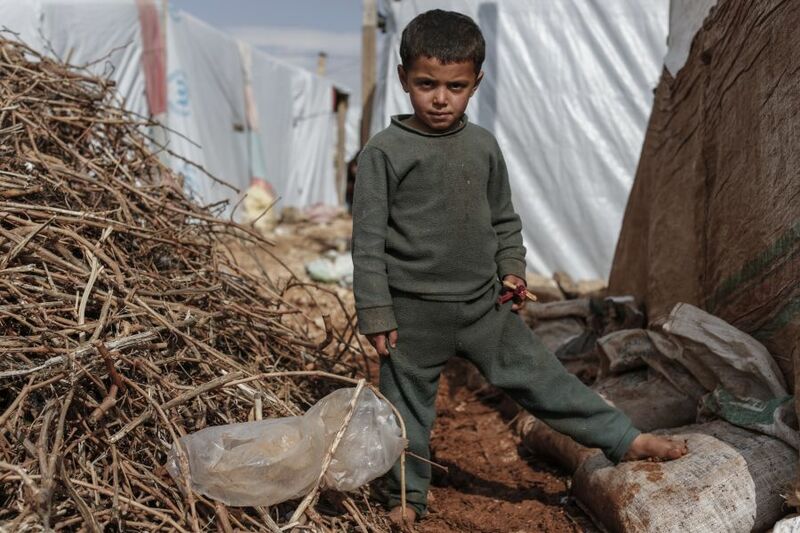 Sometimes, all that shields refugees from the harsh elements is little more than some sheets of plastic. Forced displacement drives many families apart, wrenching children from their parents and grandparents, separating siblings, and destroying extended family networks. 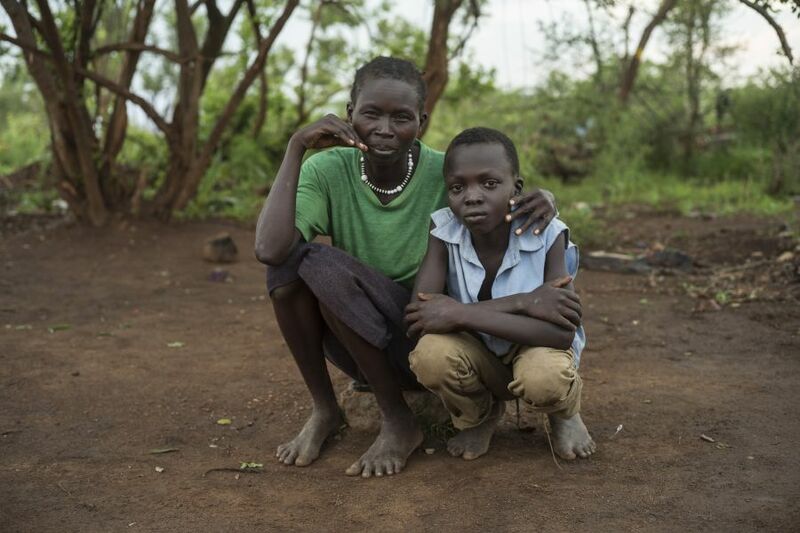 Amina lives in the Imvepi refugee settlement, in Uganda. She fled South Sudan when the fighting started in her village, her husband was arrested and six of her family members were killed. Amina first ran to Congo. On the way, she became separated from two of her young children. One was 12 years old and the other was eight. Upon arriving in Uganda she desperately searched all the reception centres and settlements for them. After nine months, her eldest son turned up in Imvepi, the day before we met her. Her second child was also found safe in a neighbouring town shortly after. For Syrians seeking refuge in neighbouring countries, the continuous worry of arrest or possible deportation due to the lack of valid residency documents as well as work permits is affecting every aspect of their lives, while the limited access to education is impacting their children’s future. 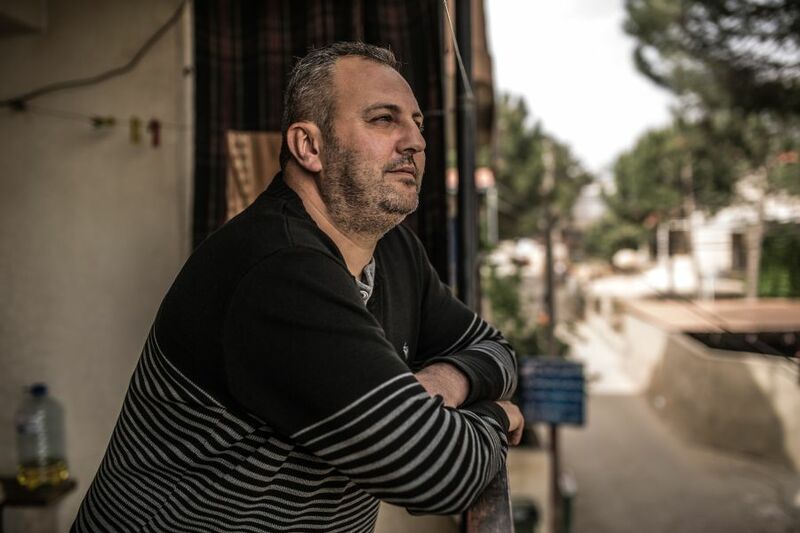 Ayman (picture above) and his wife Susan fled Syria with their 3 children after violence broke out in their hometown of Zabadani 6 years ago. In Lebanon, the family lives in distress and can hardly make ends meet. Ayman is in a constant search for a job, doing odd jobs here and there, but he is not paid well. Millions of people have fled their homes because of violence, disasters, or in search of a better life. They are in desperate need of assistance, having experienced unimaginable horrors and risked their lives to reach safety. By donating now, you will support Oxfam’s work with vulnerable communities and help us to protect the lives of people on the move. An unequal responsibility: which countries take in the most refugees? Every day, hundred of thousands of people are forced to flee to escape war, violence, famine and disasters. Yet many governments have turned their backs, and are not taking anything close to their fair share of responsibility. Find on our interactive map where are the vast majority of refugees worlwide and take action now. How much do you really know about the global refugee crisis? Take the quiz! More than 65 million people have been forced to flee their homes because of deadly conflicts and violence. While the need to address this crisis is at an all-time high, unfortunately so is the level of misinformation about refugees. Sort out myth from reality and learn more by taking our quiz!